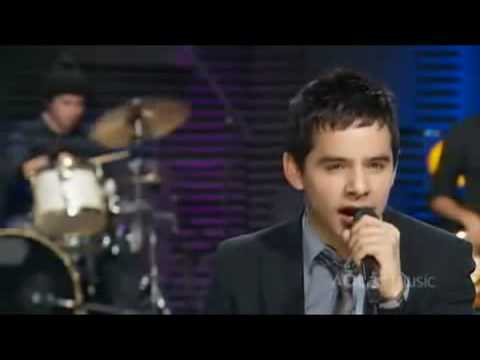 SongsInexplicably, the judges on American Idol took great pains to complain that contestant David Archuleta sang ballads. Even more inexplicably, the producer and one judge chose two ballads, “And So It Goes” by Billy Joel and “Longer” by Dan Fogelberg, for David to sing in the Top 3 performance. Ballads have been sung for centuries. With many variations in tone, rhythm, and rhyming scheme, they are pure poetry in song. Anyone who can sing ballads can probably sing anything. David has a natural talent as a great ballad singer. On his debut album, he sings “You Can” with tenderness and warmth that would melt the hearts of even tough-minded AI judges. David has said that “You Can” is one of his favorite songs from the album. If ‘you can,’ explain to me why “You Can” was not a huge hit single! I love the lovely acoustic guitar introduction in this song, followed by David’s heartfelt humming. This more subdued song provides wonderful contrast to “A Little Too Not Over You” and is wonderfully placed in the programming format of this CD. Could this be a future single at some point down the road? It should be! This song has a beautiful message and a gorgeous melody and you can hear that David is in love with this song. His emotional commitment to this song is palpable and the expressiveness coming through his voice is very real, very genuine. This is a song that would be perfect for a wedding as the first dance for the bride and groom. Oh yes, I can most definitely smell a huge hit here, can you? And the sustained note at the 2:43 mark, followed by the few seconds of silence, was artistically perfect. It adds an element of surprise and anticipation of what is to follow. And what follows is more good Archuleta stuff. I am truly in love with this song – everything about it is perfect. And the lovely head voice that David effortlessly exhibits toward the end is one of the reasons I fell in love with his voice from the minute I heard him sing on American Idol. Oh my, I need a break to digest this song. Gorgeous, just gorgeous! Most teen Disney heroes have got nothing on David Archuleta. The 17-year-old “American Idol” contender has one of those once-in-a-decade pop voices: A silky tenor with a natural melancholy that makes him a heartbreaker by default. His charming debut exploits that very quality with some strokes of pop genius…. 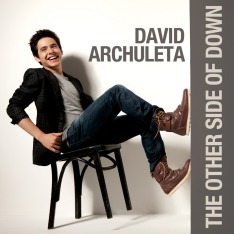 For having such a short amount of time to put this CD together, David Archuleta did an amazing job! His voice is incredible and there is a great mix of song styles on this album! Whether it is a beautiful ballad like “You Can” or a deep song like “Desperate” to a funky song like “Your Eyes Don’t Lie”…there is something for everyone! i love this song, it is such a good song. it gives me the chills, his voice sounds like a chorus of angels.﻿ go david!! Love, love, love it. The acoustic guitars go nicely with everything else in the song. I’d love if someone sang this to me. Read about “You Can” on Katie’s “Song of the Week” column, written on 15 February 2010. Listen to Katie’s collection of Songs of the Week. The inexplicable reason why “And So It Goes” and “Longer” were selected for David’s Top 3 performances was immediately apparent to me: typecasting. The producers had decided this strategy was perfect for the end result they hoped to achieve, and I’ve no doubt they were all too familiar with the knock on David that he supposedly sang too many ballads. I’m sorry if I always come across as negative when it comes to discussing the A.I. producers, but I honestly cannot be otherwise without ignoring the facts which came to light during Season 7. I remember David’s best friend, Adam, talking about how David had sent him a text message regarding the “boring” songs he had to sing that night. “You Can” would have been a perfect counterpoint to “Crush,” but it didn’t fit in with Jive’s seeming insistence that David be marketed strictly to the Top 40 format. Unfortunately, Jive appears to still be taking this approach with David’s newest single. I have yet to see a HAC format station add SBL to its playlist, which is too bad because I think the song is HAC friendly. Thanks for speaking out, Katheryn. I agree with you about AI. It broke my heart to see the way David was treated. Finally, I realized it’s really just a ‘game show’ and its producers make business decisions which have little to do with music. David himself taught me a lot about humanity, integrity, and—what’s the word?-perseverance— A lesser person might have quit the show. For anyone who might not know about radio formats in the U.S., HAC doesn’t stand for “Have A Cow.” Haha! HAC [Hot Adult Contemporary] is a mix of soft rock, pop and upbeat dance music, some hip hop plus classic music. WPLJ in New York City, KBIG in Los Angeles, KHMX in Houston, and WTMX in Chicago are four of the best-know HAC stations. Currently, HAC stations are the #2 format in most US markets and #1 format in Canada. CHR [Contemporary Hits Radio,] sometimes referred to as “Top 40” radio, focuses on playing current and recurrent [slightly older] Pop hits. Z100 in New York City, KIIS-FM and KAMP-FM in Los Angeles and WFLZ in Tampa are CHR stations. CHR stations are #1 in the US.